Ten Kate Racing has today declared itself bankrupt following its ousting as the team which ran Honda’s effort in WorldSBK. 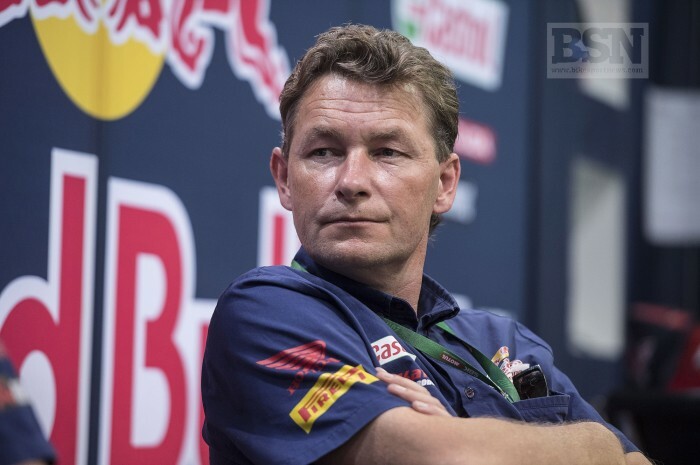 Ronald Ten Kate has stated it is a direct result of the ditching by Honda but added he hoped the operation, in one guise or another, could return to the WorldSBK paddock if not next season, then in 2020. Ten Kate Racing BV, the company that for 18 years has been responsible for Honda’s racing activities in the World Superbike and World Supersport series, during which time the team won 10 world championship titles, has today been declared bankrupt. This sad situation is the direct result of very late notification given to Ten Kate Racing that Honda wished to end its association with the Dutch firm. Honda stated that it wished instead to continue its activities with two other companies who would assume responsibility for the company’s technical and logistics requirements in the World Superbike championship. This notification was given to the management of Ten Kate Racing on October 30th 2018 with no earlier indication or further explanation. Until the last race of the 2018 World Superbike season, on October 27th in Qatar, the relationship between Honda and Ten Kate Racing was ‘business as usual’, with staffing, technical development, winter testing and all other aspects of the team operation for the following season discussed in detail and with most of the important decisions already made. Indeed, the biggest question mark was the level of technical support from Honda and the Honda Racing Corporation (HRC) in Japan. A visit from HRC representatives in April to the Ten Kate Racing workshop in Nieuwleusen made it clear that, after many years, the team would no longer be solely responsible for the development of engines, chassis and electronics and that technical support would be forthcoming from the factory. Honda’s decision to stop the co-operation therefore came as a complete surprise and went totally against all the team’s expectations and beliefs. During recent years, a clear understanding between Ten Kate Racing management and Honda established that any notification of a desire to terminate collaboration between the two parties would need to be made early (i.e. before the World Superbike championship’s summer break). This would allow Ten Kate Racing to explore opportunities for co-operation with other manufacturers and, in a worst case scenario, to manage human resources and potential redundancies within the team. During ongoing discussions Ten Kate Racing also made clear its willingness to become a logistics partner in the event that Honda wished to return to the World Superbike championship as a factory team. Since receiving notification from Honda on October 30th, the management of Ten Kate Racing has, of course, had many conversations with other manufacturers and sponsors. However, as was feared by the team, World Superbike budgets and machinery were already fully allocated by the beginning of November. While it was clear that there was genuine, high-level interest from a number of manufacturers, the timing was wrong. Consequently, it appears that Ten Kate Racing has been put in check-mate consciously by the world’s biggest motorcycle manufacturer. Pending legal proceedings relating to this situation, Ten Kate will make no further comments at this time. The team’s management will, however, continue to work on plans to race at world championship level, hopefully for (part of) the 2019 season, but otherwise for 2020. Gerrit and Ronald ten Kate wish to acknowledge the tremendous efforts of every single member of the team over the last 18 years and to thank them for the huge successes and championship wins that those efforts have made possible. The Ten Kate organisation also wishes to state that the end of its co-operation with Honda in World Superbikes will have no effect on the Honda dealership in Nieuwleusen or the Ten Kate Racing Products and Tuning department.